South Sudan critic to return to Juba for implementation of peace deal - SABC News - Breaking news, special reports, world, business, sport coverage of all South African current events. Africa's news leader. Lam Akol fled Juba in 2016 when a former peace deal collapsed and fighting erupted in the capital of South Sudan. A long-time critic of South Sudan President Salva Kiir returned to Juba on Thursday to help speed up implementation of a peace deal that is running several months behind schedule. Lam Akol, a former minister in Kiir’s government, fled Juba in 2016 when a former peace deal collapsed and fighting erupted in the capital. He formed his own rebel movement, the National Democratic Movement (NDM). A signatory to the September 2018 peace deal, Akol said Thursday he had returned to Juba to help “speed up” implementation of the accord. 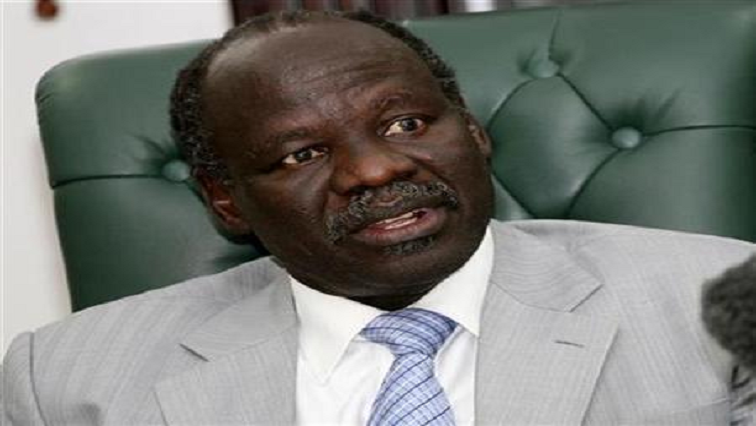 “Strictly according to the agreement, all the leaders of the opposition are supposed to be here in May,” Akol told reporters upon landing at Juba International Airport. He said he had returned to send an “essential and critical” message to the people that their leaders were in place and ready to move forward with the deal. He did not say how long he would remain in the capital. UN envoy David Shearer said Tuesday that main rebel leader Riek Machar would return to Juba in May under the power-sharing deal brokered by Sudan. He will become one of five vice presidents under the agreement. South Sudan descended into war in December 2013 when Kiir accused Machar, his former deputy, of plotting a coup. Under a previous deal, Machar returned from exile with a group of bodyguards in July 2016, sparking a battle in Juba that forced him to flee the country. Both Machar and Akol made a brief visit back to Juba in October to celebrate the signing of the peace agreement, but returned the same day to Khartoum for security reasons. Akol was once seen as Kiir’s main opposition, and ran against him for the presidency in 2010, a year before South Sudan’s independence. Prior to independence, he served as foreign minister in Khartoum, at a time when the Sudanese government had offered key ministry posts to southern rebels as part of a peace agreement. Akol said “there are many activities that are running behind schedule” in the implementation of the peace agreement, the latest in a series of efforts to end a war in which some 400 000 people have died. “We hope that we will speed up so that we are able to fulfill the mission of the pre-transition within the eight months,” he says. In an address to diplomats in January, South Sudan’s deputy foreign minister, Deng Dau Deng, appealed for donors to help “plug the gaps” and fund peace efforts. This entry was posted on 07 Feb 2019,06:45PM at 6:45 PM and is filed under Africa, Homepage Latest Stories Slider. You can follow any responses to this entry through the RSS 2.0 feed. Both comments and pings are currently closed.